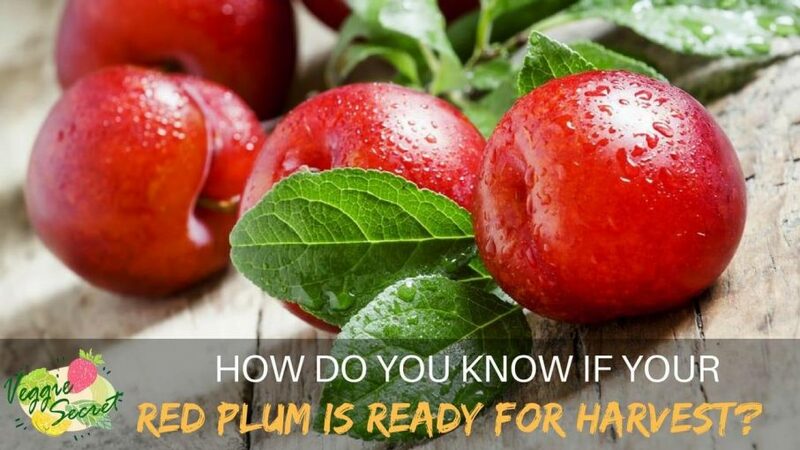 →How Do You Know If Your Red Plum is Ready For Harvest? If you are fortunate enough to have grown a plum tree in your backyard, then you can harvest these yummy fruits. You do not want these fruits to go to waste, especially a red plum. Then, by now, you may be asking regarding the harvesting time of plums. So, how and when do you know that your plums are ready for harvest? But, before answering that question, let us find out how you pick plums. 2 How and When Do You Know the Right Time to Pick Your Red Plum? You can harvest a few types of plum days before they completely ripen. Then, you can allow them to ripen on their own in a dry, cool area. The skin will undoubtedly look ripe. However, they should still maintain their firmness. Other plums are ready for the harvesting time when their skin hue changes to yellow, and they begin to soften. 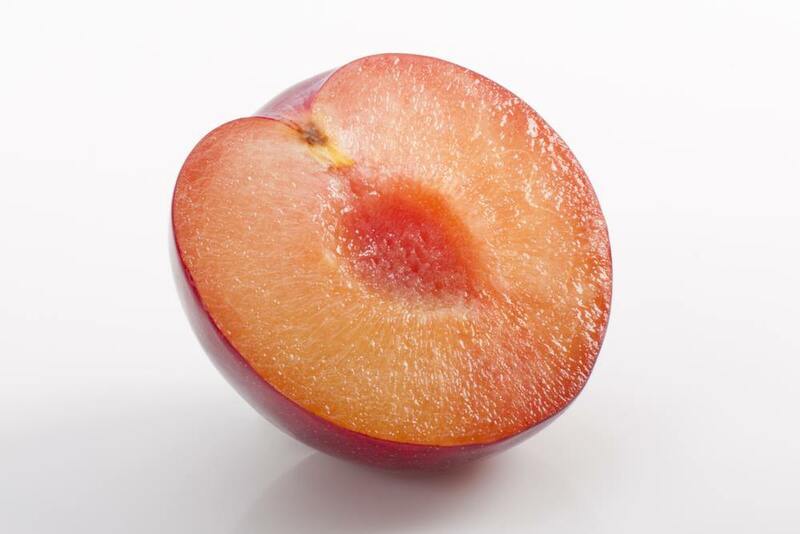 Also, you need to harvest other maturing varieties of red plum over a period of weeks. They tend to stay unripe on the tree all at the same time. Some varieties usually ripen altogether before you can gather them. If you are planning to make some prunes, you can ripen the plums completely when they are still intact on the tree, or when they naturally fall. You need to collect them and let them dry naturally. You have to do is to scatter them apart while you expose them to the sun. Also, you may use an oven or a dehydrator and set it at 175 degrees Fahrenheit for around 10 hours. If you need to speed up the ripening of the fruit indoors, you should keep the temperature of the plums between 60 to 80 degrees Fahrenheit. When you set them in low or high temperatures, they may undergo internal damage. 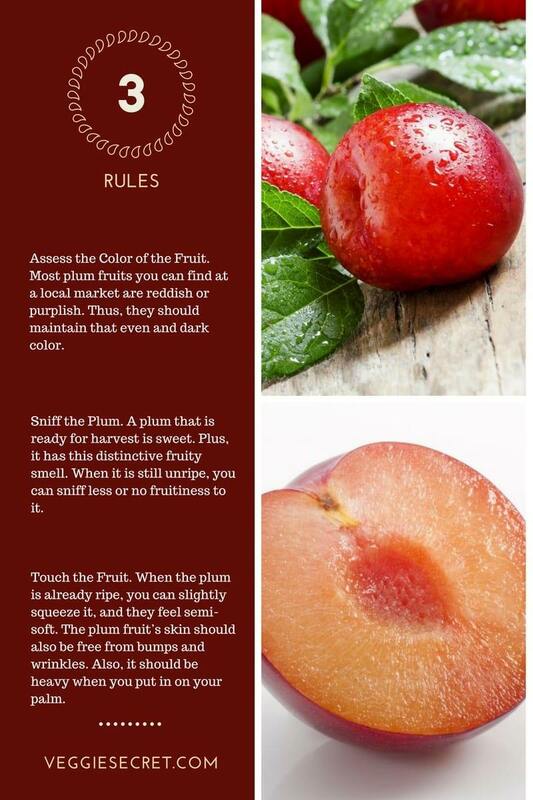 Hence, your red plums will become brown and will taste awful. But, it is only applicable if you want to ripen them in a hurry. To store them for an extended period, you should keep them in temperatures between 31 to 32 degrees Fahrenheit. You may keep them up to two weeks. How and When Do You Know the Right Time to Pick Your Red Plum? Plum trees produce red plums which can gather up to three bushels a year. 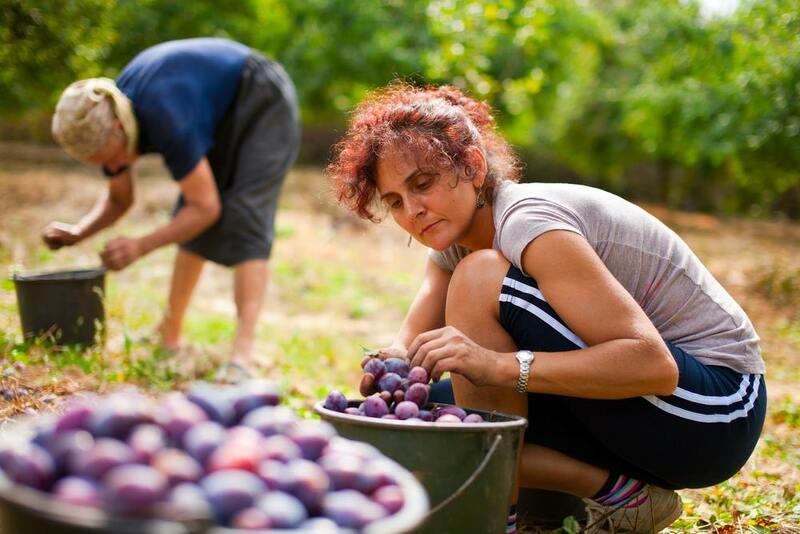 Thus, if you have plum trees, it is vital to know when you should harvest these fruits. The certain way to make sure that the right time for picking the red plums is through its flavor and firmness. The plum fruits will become juicy and taste sweet. Plus, they are also soft to touch. However, picking the ripe plum fruits can be quite challenging. Each variety of plum needs some rules to determine whether or not they are all ready for harvest. When you fail to select the ripe fruits, you may ruin the sweetness and juiciness of the fruits. 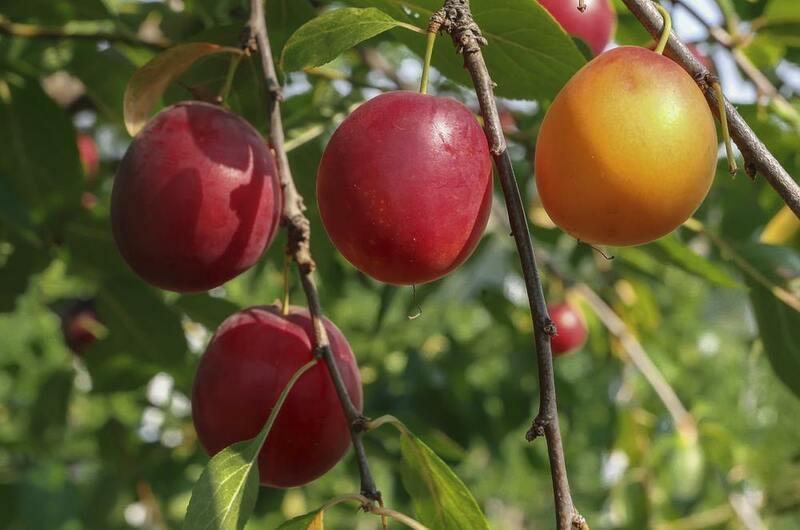 The color of the ripening plums can be an excellent indicator as to when is the peak harvest time of the fruit. When they are near their maturity, they develop a dark color. However, there are certain kinds of plum that you need to be aware of before you harvest them. Before you pick them from their trees, you need to look at their characteristics. Then, you must compare them as the maturity approaches. Moreover, you need to know that when these fruits start to ripen, they somewhat develop their powdered color. Do not ever worry if you have abundant unripened plums. You can still ripen them along the process. All you need to do is to put them in a brown paper bag and store them at room temperature. Also, make sure to check them now and then. You must be aware that these fruits usually ripen two days after the process. However, when you pick them out of the tree before they ripen, they may change their sweetness. But, you can still eat and bake them because they are still soft and juicy. 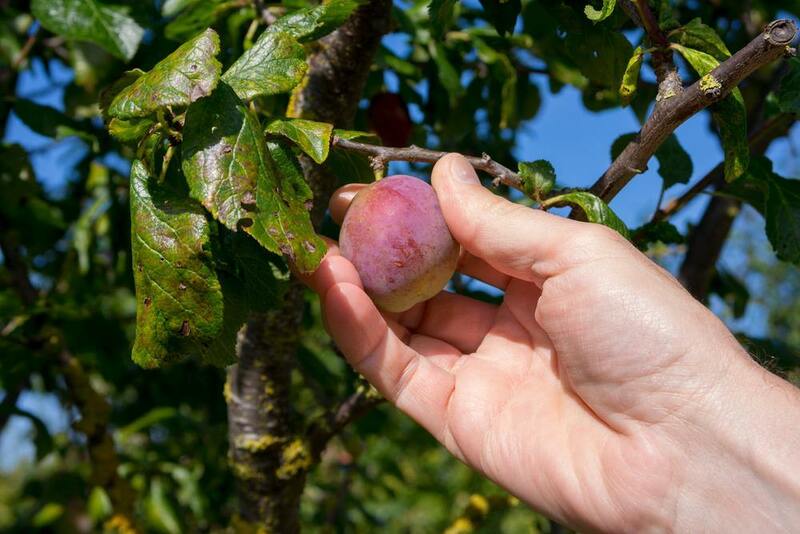 To choose a ripe plum, you need to hold it in the palm of your hand. When they approach maturity, they should be heavy. Plus, they should not be too soft. If so, it is probably overripe. Also remember that if you want the right ripeness of your plum, you need to develop them on the tree. When they remain on the plum trees, they follow a chemical reaction. The process will break down the acidity of the fruit. Then, it changes the balance between acid and sugar of the plum. Thus, it will make your plum fruit taste sweeter due to the lessened acidity. Picking a ripe plum fruit may be difficult. When you pick them out of the tree without knowing if they are mature enough, you will most likely mess up your dish, especially if you are baking a tart. Your tart or pie may taste bitter with an unripe plum. Thus, you need to consume them when they are at their peak of ripeness. Not only that they are soft and juicy to eat, but they also balance that sweetness and acidity.